GOOD FOOD, GREAT VALUE: Be spoilt for choice with great value coupons. 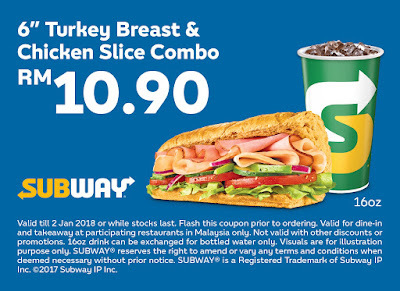 Enjoy great savings. 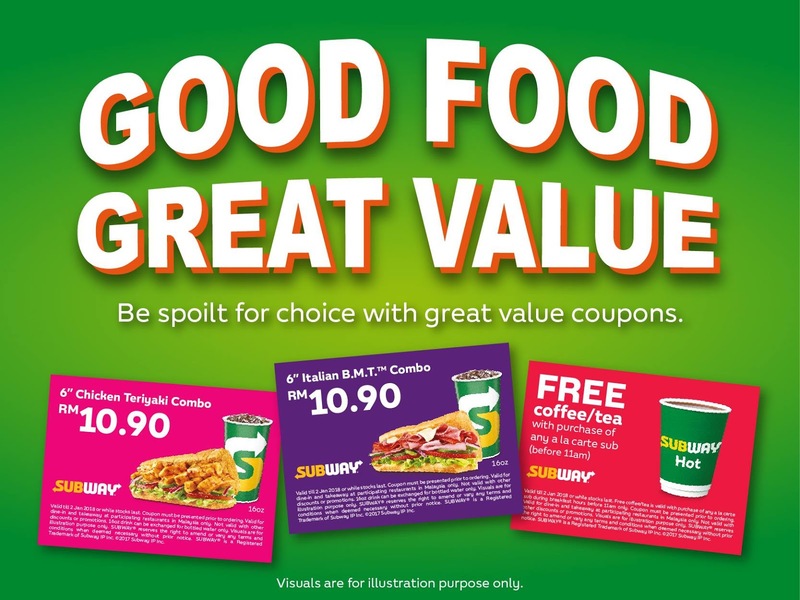 Download your e-coupons below! 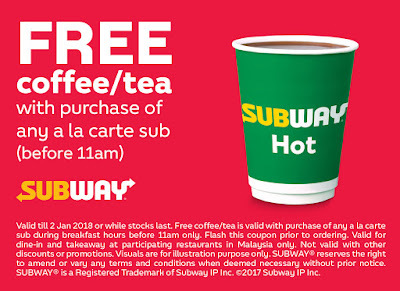 Each coupon is valid till 2 Jan 2018 or while stocks last. 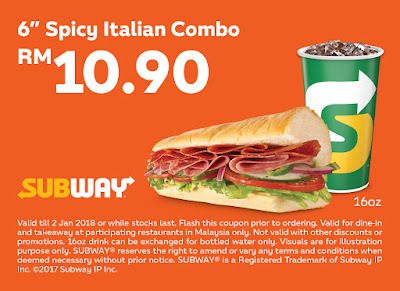 Coupon must be presented upon prior to ordering. 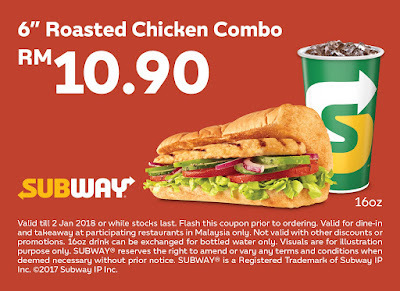 Self-printed or mobile version is accepted. 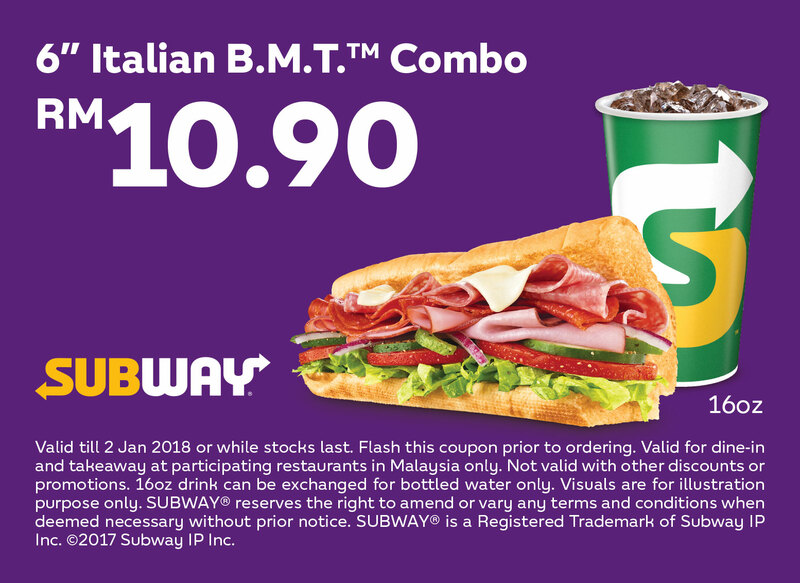 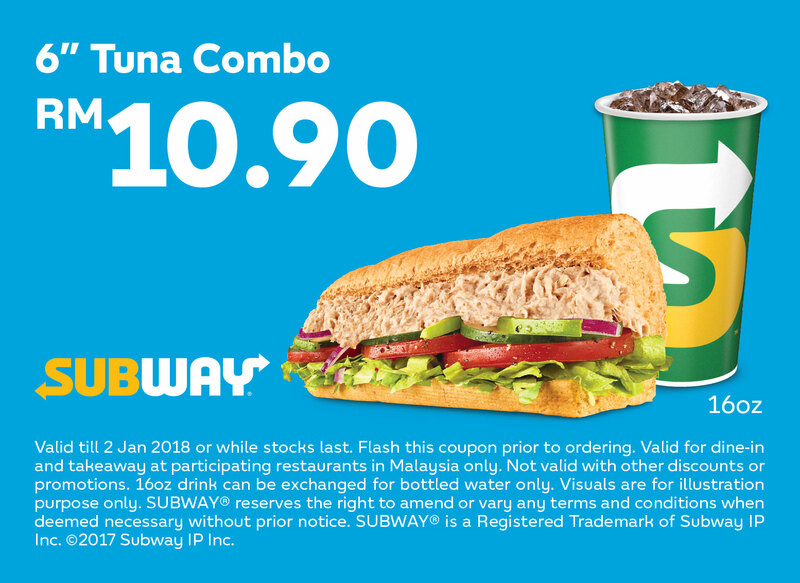 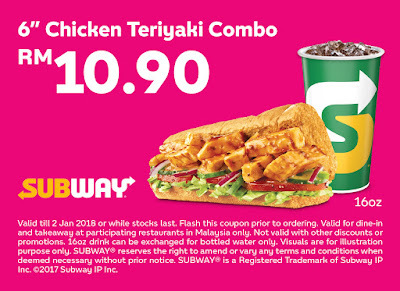 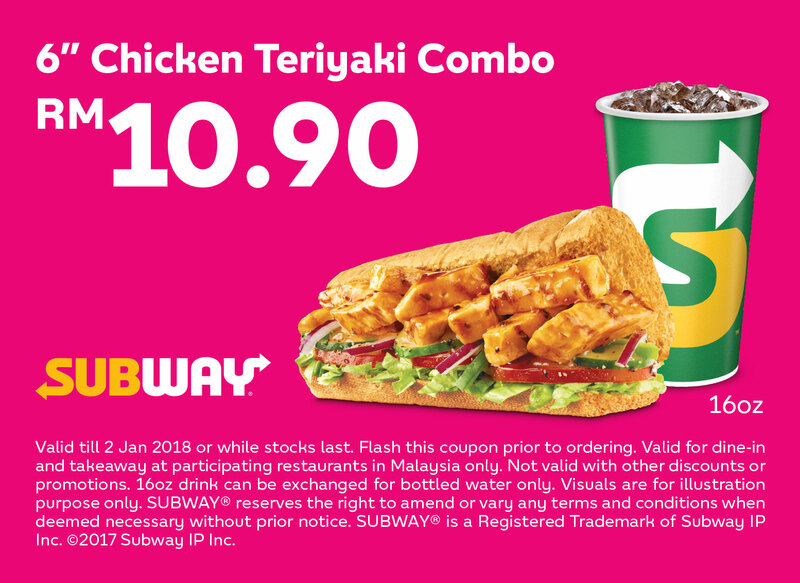 Valid for dine-in and takeaway at participating SUBWAY® restaurants in Malaysia only. 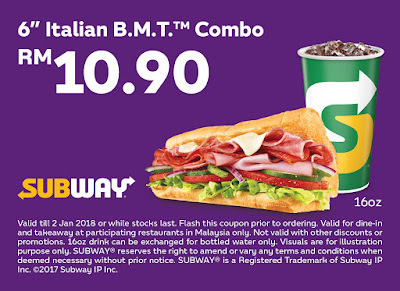 16oz drink can be exchanged for bottled water only at no charge.